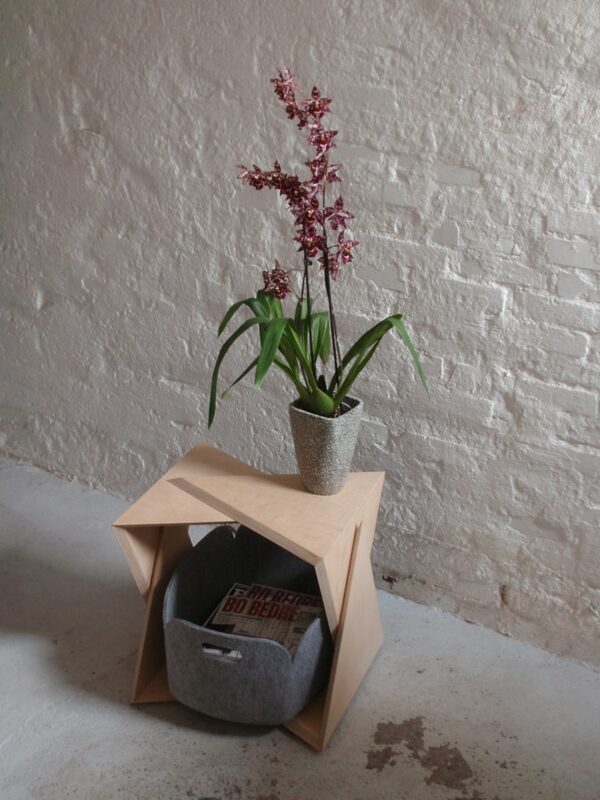 Harlekin can be used as a stool, a side table or a book shelf. The overlapping plates in the stool creates exciting and dynamic surfaces. 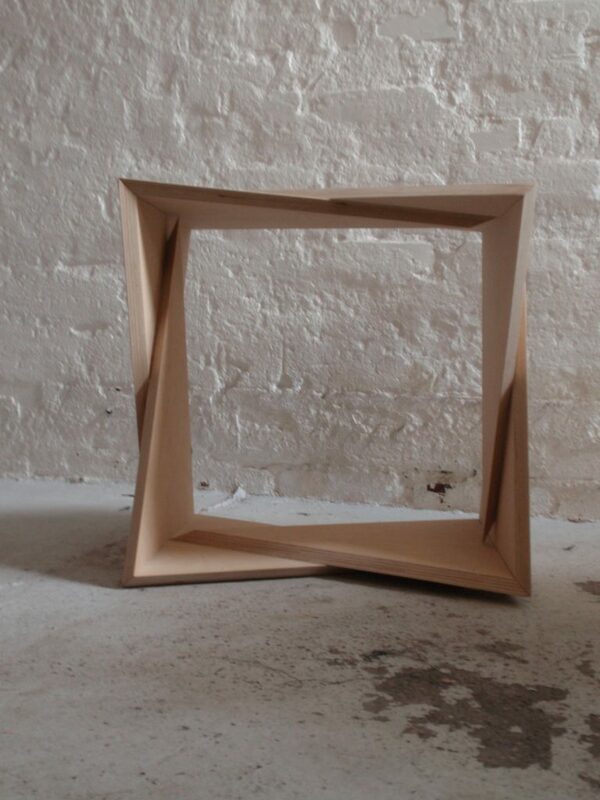 It can be used as a stool, side table or open storage. 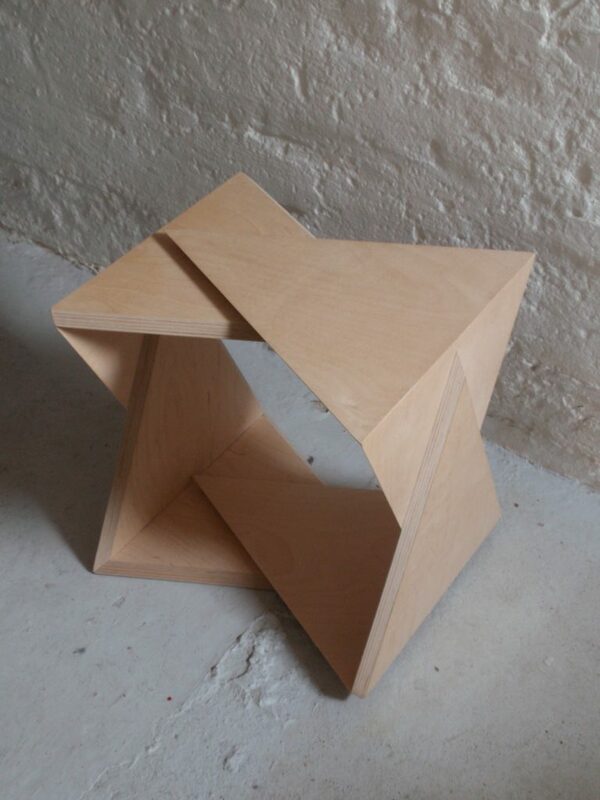 The stool is made of birch veneer with optional coloured edges, in order to highlight the dynamic shape.